This is a topic I have no clue about. 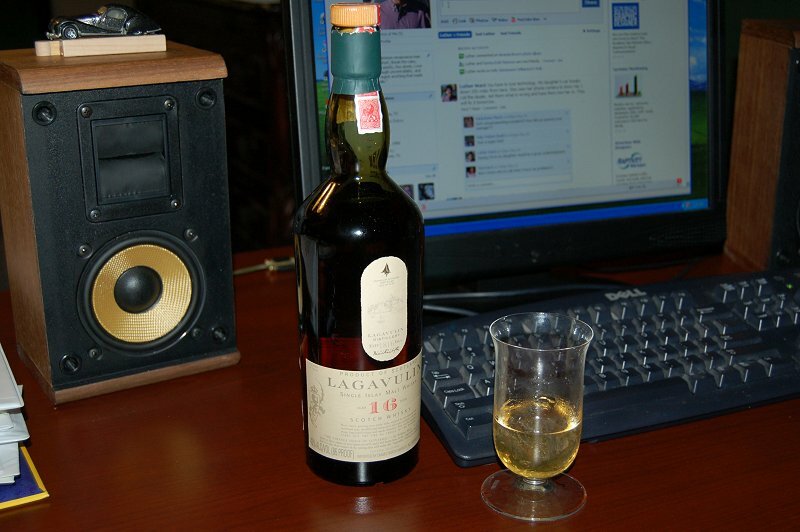 I have never been a scotch drinker. In fact the smell of it kind of nauseates me. I haven't tried that many, mebbe only 30 or 40. For me: Lagavulin. Last time I had a scotch I found myself 20 miles from home with no idea as to how I got there. Haven't touched a drop of hard liquor since, and that was 30 years ago. Now I'm good with beer and the occasional glass of wine. I will say I loved the smell and taste of it though. I drink more wine (Amarone, Meritage, Cab, Merlot) than alcohol these days, but I do still enjoy a nice scotch or single malt whiskey. 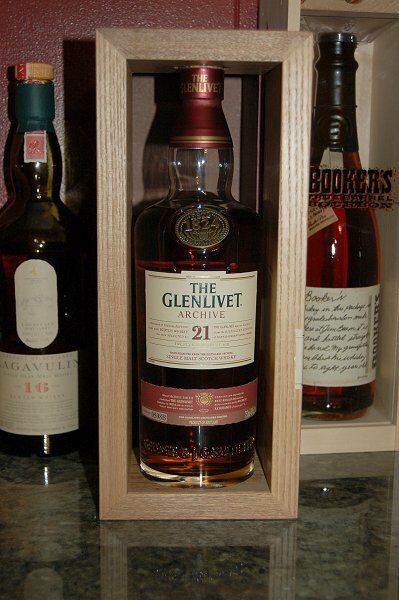 There are better scotches out there but I have been drinking Glenlivet since college. It is my standard go to for just wanting some scotch. It's hard enough we are discussing this, but then you have to go post pictures, including one of my favorite! Finally! A no brainer question. The answer is The Macallan (18 y/o if possible). Macallan is an awesome drink but on my budget not something I can drink all the time. The 25 year was incredible during our last cruise. That was my favorite before Lagavulin. Steve-Who drinks alcohol with the purpose of thinking it has nutritonal value? Alcohol consumption provides empty calories-damn good ones though. My uncle used to tell me that he felt sorry for people who didn't drink alcohol because when they got up in the morning, it was the best they were going to feel all day. There are other things I would rather give up than drinking. For instance, I used to be Catholic, but I gave it up for Lent one year. For a long time I was rather smitten with Oban. Then I became smitten with Macallan, followed by Glen Livet, then followed by Dalmore. I only had a brief flurtation with Knockando and never really got into Lagavulin. 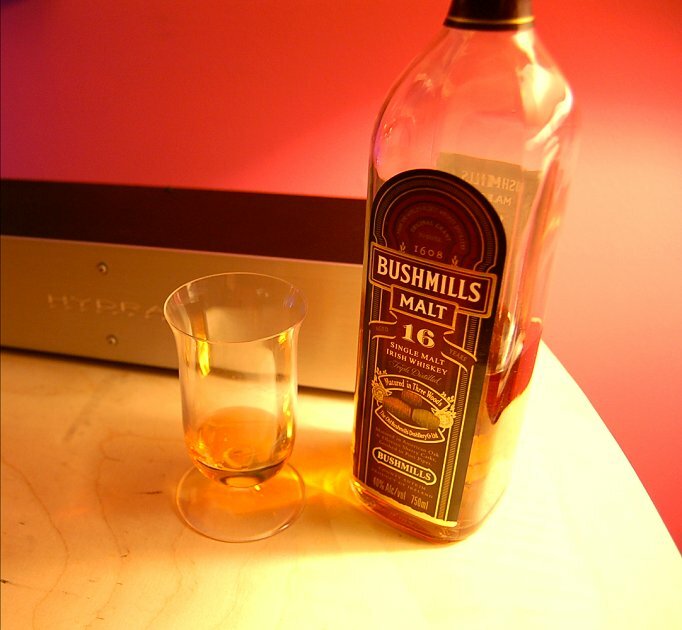 I prefer the Highland malts over the Islay varieties as I'm not a fan of peat. Wish I had gone long on scotch futures a while back considering the prices most are fetching these days. Which brings me back to drinking mostly the ho-hum 12 year old Glen Livet. Every now and then I'll change the pace with a bottle of Pinch. Blended I know, but very nice nonetheless. My one remaining virtue? I avoid good Cubans at all costs. I was once given a bottle of Glenmorangie 1963 Single Malt by a client, now worth god knows $2500 ish, when celebrating very special occasions I sneak a quick drop and it is just heaven. However, in the real world the Glenmorangie 25 is stunning and thoroughly deserved its award in 2008 or 9, but my real love is Islay Single Malts like Ardbeg, Laphroaig and Bunnahahbhain. I like Caol Ila 12 ans(43%) the best. I do taste others... but these are my all time favvy's! Have you tried the Ardberg Supernova? Or the Lagavulin 16-Year? I have both plus the Lagavulin 12-year and the Distiller's Edition. I would love to get the 21-year...but too expensive!!! The Supernova is stunning...i recommended it to a guy who worked at the local fine wine/spirits store...when i saw him a few weeks later, he said he and a friend nearly finished the bottle in a very long nite, and it was definitely gone the next weekend. He was the store's whisky aficionado and still talks about it to this day. My bottle too is long gone. Benriach 20 years silky and sweet The 12 is good too if rough around the edges. You'd think the 16 was somewhere in between. I don't know if the 16 I got was from a bad batch, but what I tasted was like sucking on peet. Yech. I have fond memories of some Glenmorangie's .... But for the daily, ordinary stuff I haven't come across a better balance, for me, than Glen Ord, 12 yr old. Absolutely no nasties, as far away from Glenfiddoch as you can get; each glass is better than the one before.